Jacobs Trading 1600 Regent Ave is THRILLED To be hosting this amazing plant sale May 30th to June 2nd! This will be the largest selection in the city of Succulent and Cactus plants as well as huge selection of Air Plants! Plus, we will have some amazing activities going on all weekend! 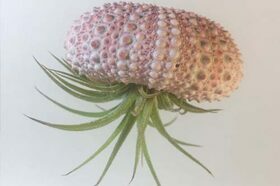 Come learn all about Succulent and Cactus plants and Air plants too! Browse our huge display of plugs and potted plants! The selection will be incredible, and everything will be for sale! 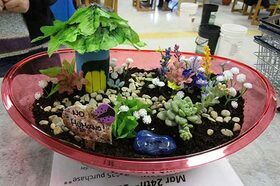 Come make Succulent Fairy Gardens with us! Create a magical landscape including a live succulent plant! Cost is just $20 all supplies included! 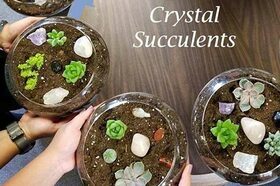 We will be offering our amazing Make & Take class for those that want to plant their very own Succulent Terrarium right on site! Plants, soil, dish and crystals provided in the very reasonable price of just $15 - $25 (depending on size of container and number of plants). Create your own hanging Air Plant terrarium or Air Plant Jellyfish Make & Takes will be going on all weekend too! 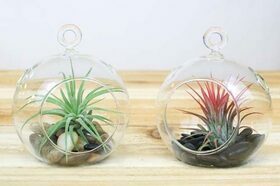 Prices will vary based on container & size of air plant. Also, if you prefer you can purchase the succulents separately and plant them at home in your own containers. Succulent soil and drainage stone will be available for sale as well! Hope to see you at the sale! Debit, Visa, Mastercard and Cash accepted at the sale!